Born out of the latest anti-aging research, Xenadrine 40+ is the first diet supplement specially designed to help revitalize cellular metabolism* in adults over 40 for better weight loss results. Stimulant and ephedra free, it's safe, simple, and effective. I am 42 years old. I had been suffering with joints pain that was caused by PTSD. I stoped taking it once, because I did not feel any change. No weight loss. No side effects. Nothing! But after stop taking it, I started to have bad depression like before. So I decided to taking it again thinking, "Maybe, Xenadrine 40+ was actually working." I was right. I am out of depression and joints pain now. It helps me to be more active and do exercise. For weight loss, alpha lipoic acid works for me. I lost 10lbs within 3 weeks without exercise. I was taking Xenadrine 40+ at the same time. Over the last year I have gained 15 pounds. I am 48 years old and perimenopausal and am having the most difficult time losing the excess weight so I decided to try Xenadrine 40+. I exercise for 90 minutes 6 times a week doing aerobics and muscle sculpting. I am almost done with the 1st bottle I purchased and have actually gained 4 additional pounds! This product really worked for me i am excited I do not take it everyday I have taken it only three days out of the week and lost 2.5 pounds. I have cut my calorie intake but on days when i feel I may over eat i take the xendrine and it helps me to burn calories- keep in mind every product does not work for everyone you have to find the fat burner that works for you. I tried hydroxycut and no results but it worked for one of my co-workers at work. I hit menopause and gained 40lbs. All other fat burners crank up my hot flashes and give me the jitters bad. With Xenadrine 40+, I feel calm yet my appetite is GREATLY reduced. I've been looking for that combination in a diet aid FOR YEARS! So far I have not had gas or headaches and the weight is coming off! It has my vote! Much to my surprise I only need one in the morning and one in the afternoon to meet my needs! Severe headache about an hour after taking Xenadrine 40+. Had to take Gravol. Lots of intestinal activity. I'm just wondering, if I am already jogging 5k every day and eating right, why should I be spending money on a product that advocates "in combination with diet and exercise"? I used Xendrine w/Ephedrine and it was great. Had to try other Xendrines and nothing works like the Xendrine w/Ephedrine. Don't waste your money on this product. Bring back the good stuff. I started on this pill and I was shocked that within 3 weeks I saw myself loosing the weight I wanted to loose. I lost 25pds within 4 months and is totally satisfied. I was also dieting with fruit and veggies and I feel fine, more entergy and feeling great. Thanks 40's plus, I am in a size 14 from 18's and feel wonderful.I will use nothing else. Im 45 and feeling so good. I am 51 years old and used this product for about 6 months. Combined with healthy eating and about 30 minutes of exercise every morning....I lost 50 pounds. I feel great and it has been over a year now. I have tried this product several times. Every time I try to use it I get headaches about 1-2 hours after taking it. I even tried starting out with just one capsule. I wish I would have had better sucess like other people have had. I am a 38 year old male. I am about half way through the bottle and I am loving it! I really like this product. I've lost about 8 lbs. now and about an inch off my waist. I have started to exercise too so some of that comes from exercise. I used to take Xenadrine with ephedrine and then the one without ephedrine. In both cases, I felt like I do when I drink too much coffee. With the 40+ bottle, I feel more calm and stable. I think it is more time-released. I also separate my dosage into 4 doses of one pill instead of two at a time. I do not experience gas either. In fact, I think I have less gas now. Everything seems to "flow" through my digestive system better now too. I notice that I get hungrier more often now so I do have to eat more often (smaller meals) which is a better approach to weight loss anyway. FYI - I am 48 years of age. Went through menopause 2 years ago. 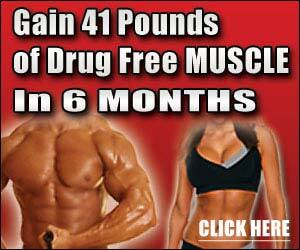 I had gained 15-20 pounds over that time, for which I have tried loads of OTC diet pills. This is the first pill that seems to be working so far. Have only been on it 2 weeks, lost 5 lbs. Of course, have been exercising 60 minutes per day with my New Year's resolution, and with a very regimented diet. Note, though, that the weight didn't start falling off till I started the Xenadrine 40+. One drawback only; at least for me, it seems to cause excessive gas, but the weight loss is worth it as far as I am concerned. Consider me a happy customer!